It's 100% Official: Samsung's dual core Android tablet-smartphone hybrid will finally land on Philippine shores by mid-November. "Samsung Galaxy Note is a revolutionary product to open a new category in the mobile industry and I am very proud of this accomplishment," said Binggoy Mauricio, Business Unit Head of SEPCO Mobile Communications Business. "Samsung GALAXY Note will redefine and enhance mobile communication by offering a more advanced, productive and creative user experience with its new innovative features such as S Memo, S Planner and S Choice. 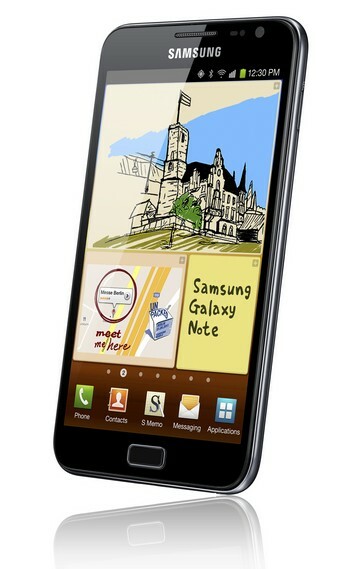 I’m sure our customers will enjoy our new product and fully take advantage of GALAXY Note’s many innovative features." 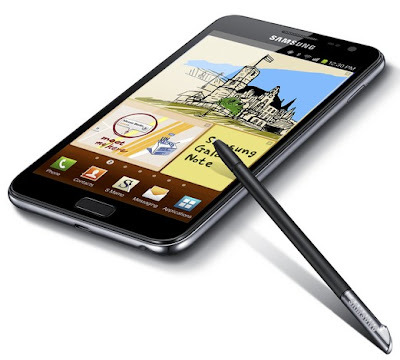 The Samsung Galaxy Note features the world's first and largest 5.3-inch HD Super AMOLED display. This is an expansive high-resolution smart screen that promises to provide an extremely vivid and best-in-class viewing experience while ensuring the portability that smartphones offer. The Galaxy Note’s screen should be big enough to enjoy HD quality movies on the go and portable enough to slip right into the pocket. Additionally, Samsung's advanced pen-input technology, called the S Pen, together with Galaxy Note’s full touch screen, aims to introduce a redefined user experience. The digital S Pen can be used for accurate sketching and artwork, while enhanced handwriting recognition allows ideas to be captured and shared with other devices without the need to perform any additional digitization; handwritten text is accurately converted into digital characters. Galaxy Note’s high-resolution display ensures that e-books, PowerPoint presentations, news apps and web-pages can be viewed comfortably with minimal scrolling or zooming. Minimizing the need to switch between applications, GALAXY Note’s HD super AMOLED screen is large enough to allow meaningful split-screen operation and true multi-tasking; the most frequently used native apps can be operated side-by-side, reducing interruptions. Additionally, the 5.3” display is the largest ever included in a primary mobile device; measuring just 9.6mm thick, GALAXY Note fits comfortably in a pocket to offer true portability. GALAXY Note’s 1.4GHz dual-core processor ensures the device is incredibly fast and a smooth user interface ensures seamless usability. Lightning fast network speeds are enabled through the HSPA+ , ensuring a quick and seamless browsing experience. This means that users can stream videos in real-time or engage with their friends through online gaming platforms, facilitated through Samsung’s Game Hub. 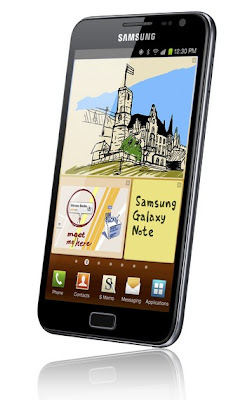 “The Samsung Galaxy Note was designed based on how consumers generate ideas. People usually take cues from their environment, formulate ideas and capture them through pictures, notes, designs and so on. And, now, with the Galaxy Note’s S Pen input technology, 8mp camera, 1.4GHz dual core processor and HSPA+ internet speeds, these 'eureka' moments will always be easily captured and even shared from anywhere and at anytime” said Coco Domingo, Product Marketing Head for Mobile of SEPCO. According to TP's very reliable source, Samsung Galaxy Note will be priced at around Php 35,000 - Php 40,000.